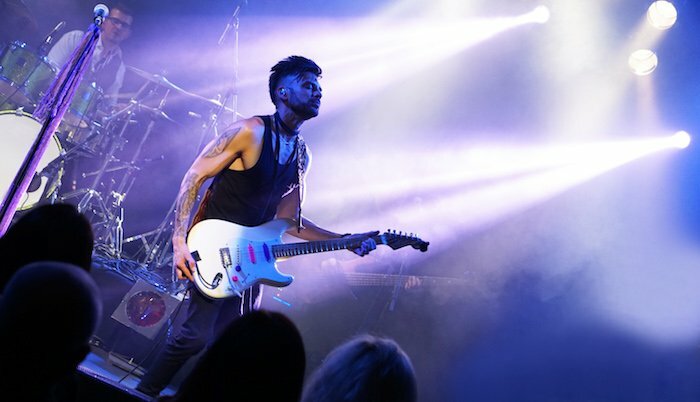 Andrew De Silva from 90’s R&B sensation CDB, now frontman of Boom Crash Opera & winner of Australia’s Got Talent 2012 brings you a Purple Revolution In Loving Memory of Prince. It doesn’t get more legendary than the music of Prince. When the iconic performer passed away in 2016, the world mourned the loss of the multi-instrumentalist who was ahead of his time musically. For Australian musician Andrew De Silva, this loss was keenly felt. Undeniably something that was meant to be, Purple Revolution had their first show only a couple of weeks before Prince passed away. The Purple Revolution pays homage in a party fashion – after all, Prince created some of the best songs in music history. With tracks such as Little Red Corvette, 1999, Cream, Diamonds & Pearls, I Wanna Be Your Lover and the iconic Purple Rain, audiences are guaranteed to be on their feet from start to finish. Prince’s hits smashed the Billboard Charts and created memories for generations – now Purple Revolution: A Tribute to Prince will endeavour to keep those memories alive. Whether you were a fan of Prince’s irrevocable style, or only discovered his catalogue after his passing, Purple Revolution is a show for all to enjoy. Jam-packed with hits, the show features guitar virtuoso Simon Hosford (Men At Work, Tommy Emmanuel), Paolo Cecchinelli (Kate Ceberano, Vanessa Amorosi), Rod Bustos (Kate Ceberano, Vanessa Amorosi) and drummer Johnny Salerno (Belinda Carlisle, Jon Stevens). When it comes to an artist performing Prince’s material, then Andrew De Silva is confidently placed to do so. There is little he can’t do – from fronting R&B supergroup CDB in the 1990s, to pub rock icons Boom Crash Opera nowadays, Andrew is also an established singer-songwriter within his own right, winning the 2012 Australia’s Got Talent for his incredible vocal style.